Welcome to The tutu Club – Baby ballet with a twist! We have limited availability for after half term across the week and weekend – please get in touch to book your FREE taster session. 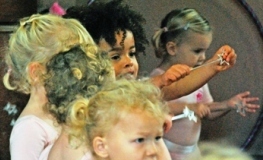 Welcome to The tutu Club – a dance school for pre-school children based in Southampton, Hampshire. 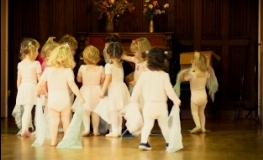 We focus on fun & imaginative dance and movement classes for children aged 18 months to 5 years old. The club’s activities have been designed, developed and written for pre-school girls and boys to give them the inspiration to embrace their incredible imaginations and fuel their ever exploratory minds through music & dance. Our club offers something a little different. We take our members on a fantastic journey through movement. Encouraging interaction, co-ordination and balance whilst embracing different dance disciplines. We have teeny classes (18 months – 2 years ) and tutu classes (2-5 years) running throughout the week and weekend across Hampshire in Bartley, Brockenhurst, Bursledon, Colbury, Curdridge, Hythe, Netley Marsh, Romsey, West Wellow, Alderbury & Shirley. Isobel had a brilliant time at the workshop and has been serenading us ever since we got home! Now we are listening to the CD… Thank you for today, and indeed for the past 4 years of prancing and twirling at Tutu Club. I’m sure that being used to a taught environment helped her to make a good start at school, and she loves dancing of course! She will be starting at a new class in September, but we’ll miss (and always remember) our trips to Bartley. Please do keep in touch and let us know about your future workshops: she’d love to come again.